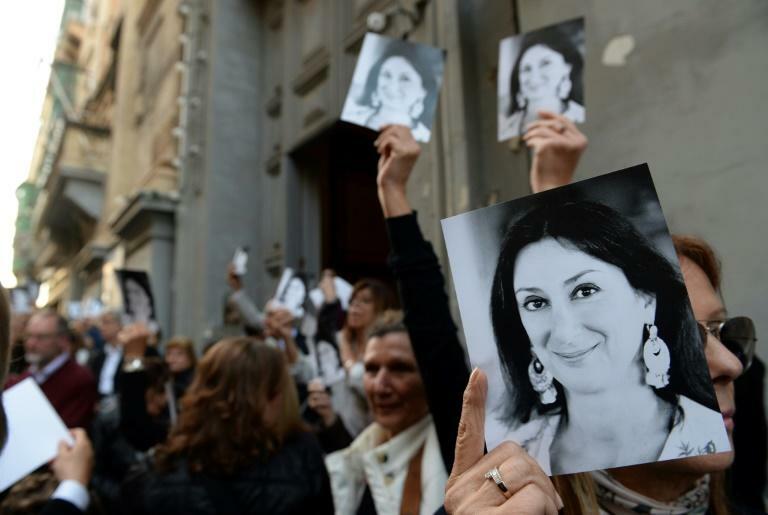 International media freedom groups urged the Maltese government to open a public and independent investigation into anti-corruption journalist Daphne Caruana Galizia's murder a year ago on Tuesday. Reporters Without Borders (RSF) executive Julie Majerczak said her group and four others delivered the message on Monday to Prime Minister Joseph Muscat of Malta, a European Union member country. "We are asking the Maltese prime minister to immediately open a public and independent inquiry to establish whether or not the murder of Daphne Caruana Galizia could have been avoided," Majerczak said at a press conference in Brussels, flanked by EU officials. A year after Caruana Galizia was killed in a car bombing on October 16, 2017, RSF and the other groups told Muscat that there has been "no meaningful result in the investigation beyond identifying three suspected hitmen." The statement they gave him said those who ordered her murder have still not been identified or brought to justice, questioning "the independence and limited scope of the investigation". RSF suggested the use of retired judges who have no links to the government. The statement asked whether investigators had explored all possible avenues, including whether her "assassination was related to her reporting on corruption at the highest levels in Malta". Caruana Galizia's blog sought to expose scandals on the island state from petrol smuggling to money laundering, offshore bank accounts to nepotism, implicating members of the government and organised crime. The statement said Caruana Galizia had endured countless threats that had been tolerated during her 30-year journalistic career -- including having her home burned and dogs killed. The threats "helped create an environment in which she could be murdered with impunity," the statement charged. It said a campaign against the investigative journalist and her family continues after her death, with 30 active libel cases against her, "including lawsuits filed by you, Prime Minister, against her and her son." Senior European Commission officials including Vice President Frans Timmermans also demanded justice for Caruana Galizia. "We need to send a clear signal to all journalists: it is safe to work in Europe," they said in the statement from Brussels. "If journalists are silenced, so is democracy. This will not happen in Europe. Not on our watch." Those calling on Muscat to open an independent investigation also included the International Press Institute, PEN International, the Committee to Protect Journalists and the European Centre for Press and Media Freedom.